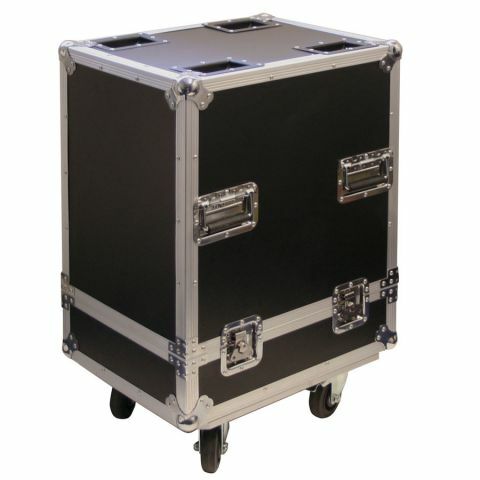 This flight case is for a single moving head is constructed from 9 mm laminated plywood and has a foam lined interior. Castors are fitted to the base of the case and the 4 handles aid manoeuvrability. Butterfly catches keep it all together. A good quality case at a good price.